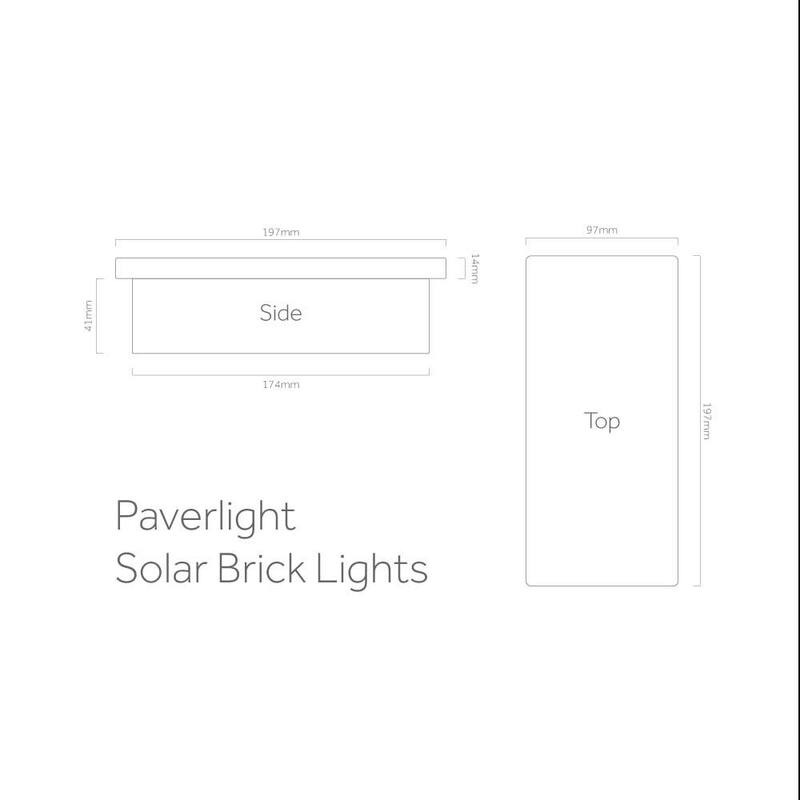 The Paverlights have been designed to fulfill the growing demand for affordable standard brick sized solar lights. 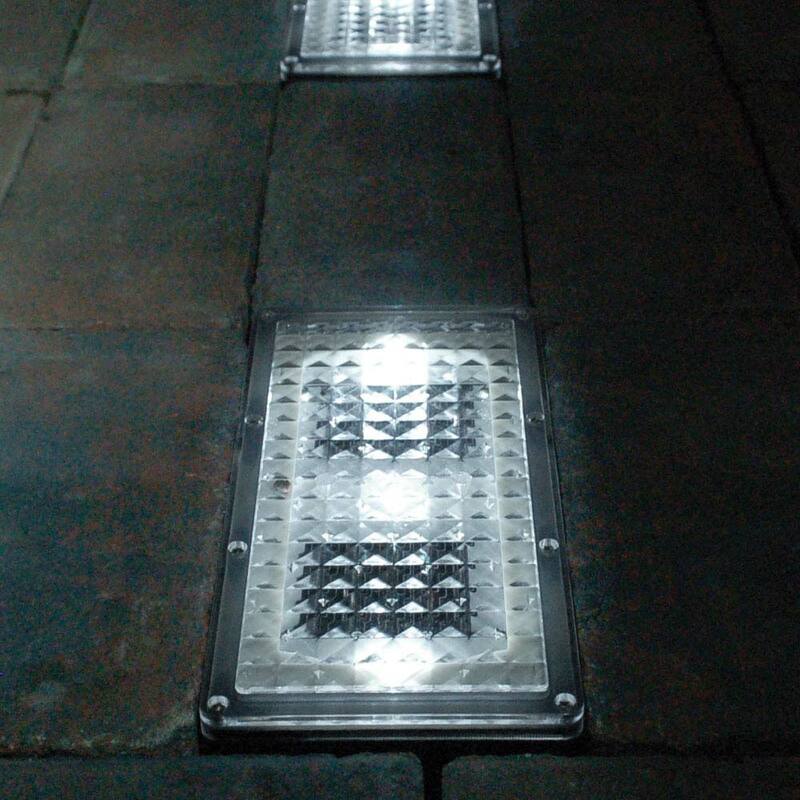 The Paverlights offer unparalleled performance and build quality for their price and will provide years of hassle free enjoyment. Features 3 super bright LED bulbs. The delivery was quick and the parcel well packaged. They are just perfect for what we want. We have a new patio with a path to one side. These solar lights have been placed at regular intervals along the edge of the path, giving enough illumination to walk safely. Itâ€™s a cool white light and quite bright and they charge well considering they are not in the sun all day. I like the lights and they achieve the effect I wanted.. however, the failure rate is a concern. Waiting now to see how good the Solarcentre is at providing an exchange. In late Spring, Summer and early Autumn the Paverlights will fully charge on most days giving them enough charge to light for 12 hours. In winter the Paverlights will charge up enough to light for up to 6 hours on all but the most unfavourable of winter weather days. 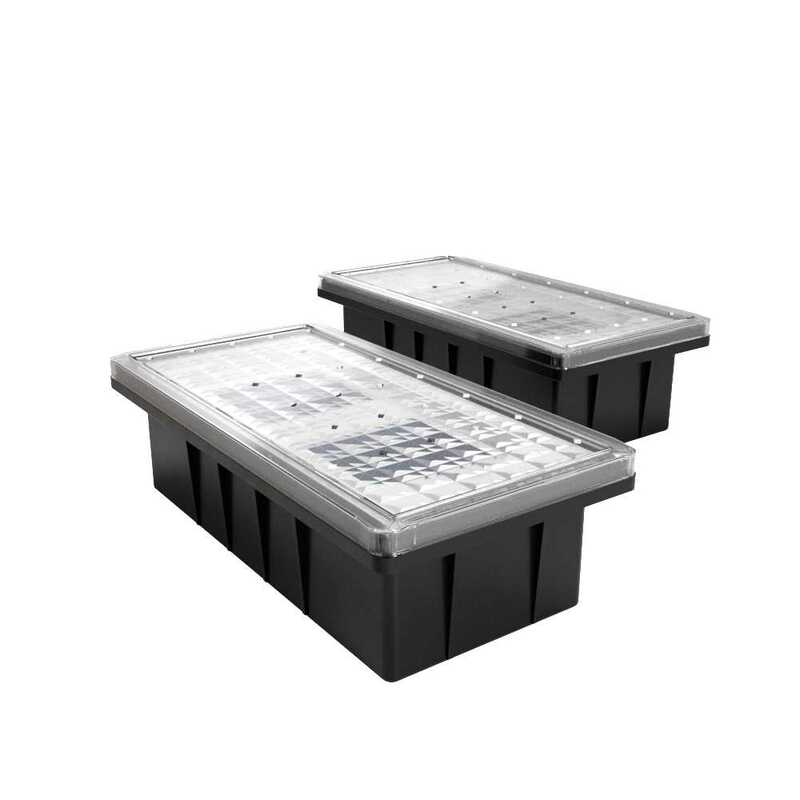 The Paverlights are IP67 rated. The Paverlights are IP67 rated making it our most waterproof light. IP67 means the Paverlight's are protected against dust - No ingress of dust; complete protection against contact and ingress of water in harmful quantity shall not be possible when the enclosure is immersed in water under defined conditions of pressure and time (up to 1 m of submersion). Additional diagram above in image gallery. 1. First think about your desired location? Does it receive relatively unobstructed daylight? 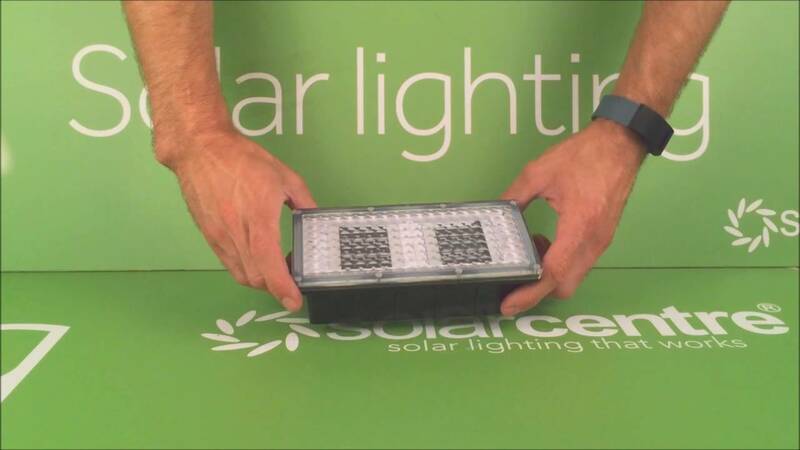 During the day the Paverlight's solar panels charge their internal battery pack giving it the power it needs to light after dark. 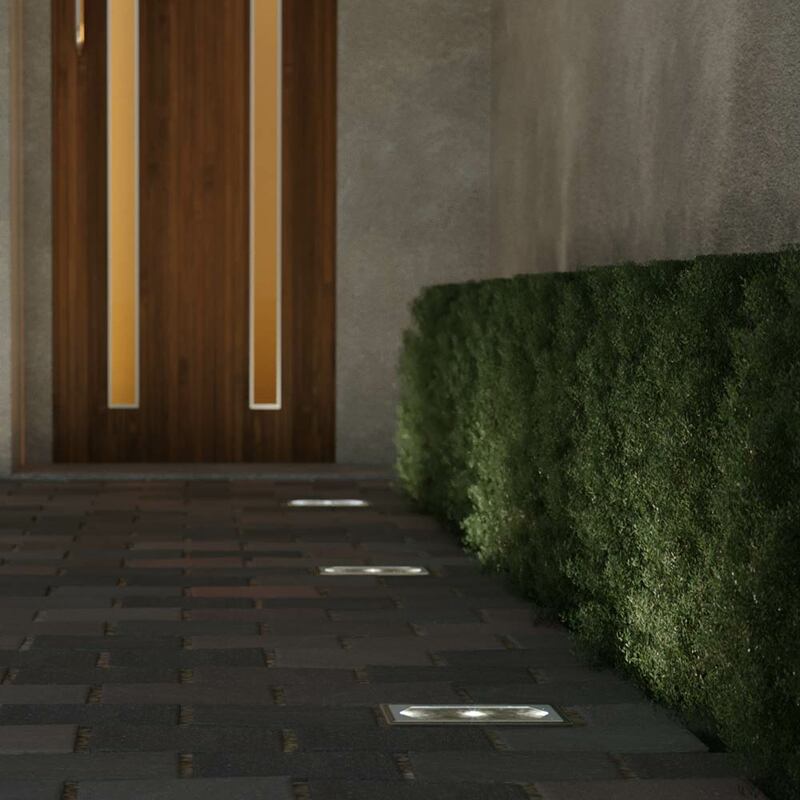 After dark the Paverlight's will come on automatically each night for up to 12 hours before turning themselves off. The Paverlight's can be controlled manually by moving the stopper on the underside to the on / off position as required. We wouldn't recommend it but it could work if it was south facing with no obstructions and huge amounts of sunlight. I am thinking of using these around the paved area of my patio, by sinking them into the surrounding grass / mud. Would these lights be suitable in such conditions, possible damp / wet most of the time, and will get watered by the garden hose ? The light needs good drainage underneath and cannot be sitting in water. One solution may be adding gravel under each light allowing the water to drain. If laid on the driveway are these lights robust enough to take being driven over by a family car? Yes, they're designed with exactly this purpose in mind.